Professional and ethical behaviors are critical for high quality care and consumer protection. By using behavioral systems, behavior analysts may increase the probability of employees engaging in professional and ethical behaviors because systems may describe "what to do" instead of "what not to do" when faced with a professional or ethical issue. This presentation will discuss examples of behavioral systems that accomplish this goal. Specifically, it will discuss systems designed to teach and maintain professional and ethical behavior in an organization, build and maintain relationships in interdisciplinary settings, and define scope of competency. These examples will serve as a starting point for how professionals may integrate customized systems into their own organization. 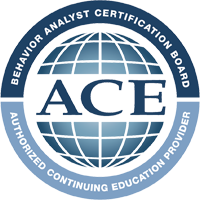 The purpose of the BACB supervision experience is to improve behavior analytic, professional, and et..